I am releasing my design files for a hexagonal version of the Moodlite. 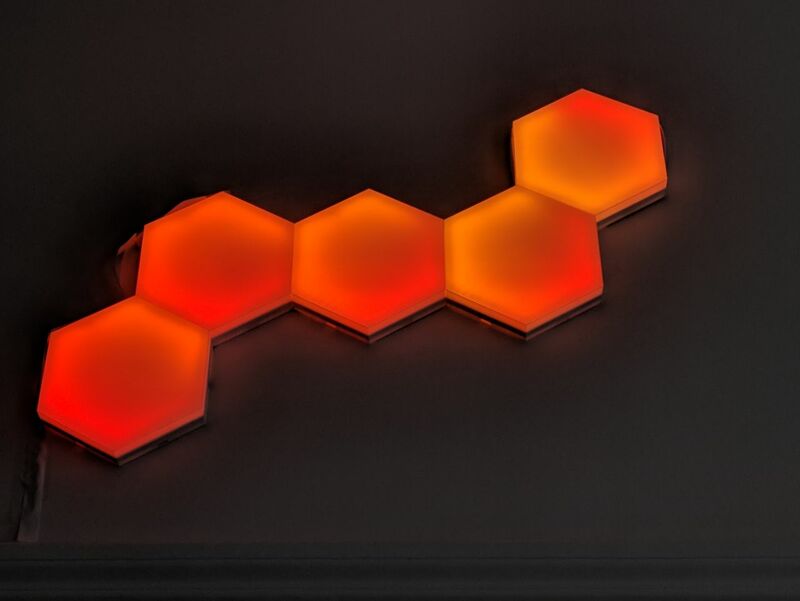 Each tile is composed of a bottom part that houses all the electronics and a top part that snaps on top to diffuse the light. The degree of diffusion can be controlled by varying the lenght of the top part. 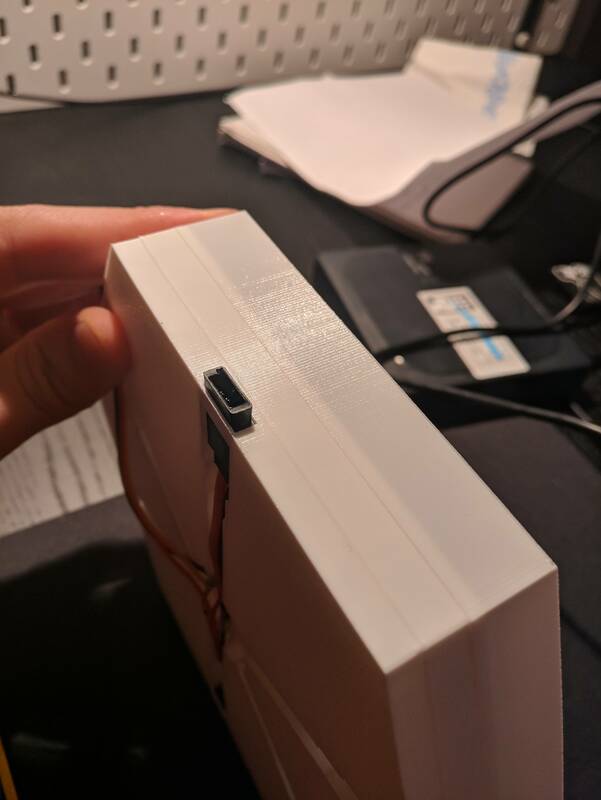 The tiles are interconnected with a servo cable + connnector. Any other LED-density can be chosen, as the height of the diffusor part can be adjusted to be closer to the LEDs. However, the controller can be interchanged with a NodeMCU & the Classic Moodlite software. I have adapted the code to include some more effects. The code is available at the end of the post. The setup is heavily based on AgileNebulas' setup that I have previosly linked. The main difference is the routing of the cables. The incoming power (yellow and brown) goes towards the LED strip. The other end of the cable is then combined with the initial bit of the servo cable. For this, I have exposed the incomming wire and resoldered the other end according to the image above. Due to lack of shrinking wire, I have enclosed the solder with a drop of hot glue. At the end of the strip, the data line (red) is forwarded to the next tile. 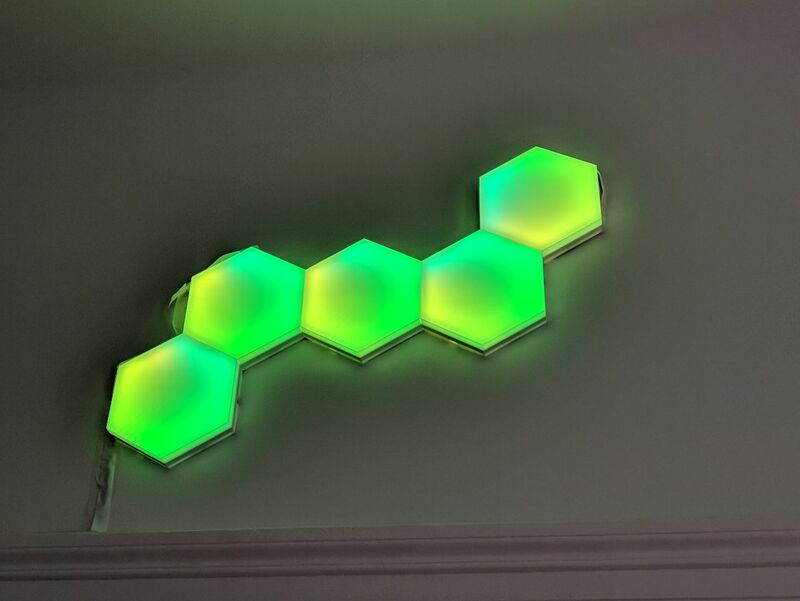 This way, each tile receives power from the plug and data from the previous LED strip. 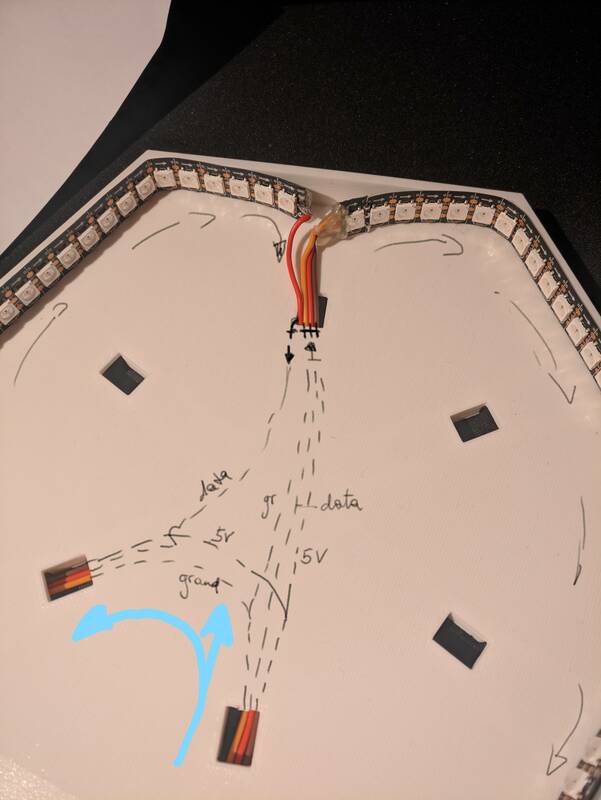 Diffusor may crack during mounting! Soldered joint between cables might not be safe at certain Amps. The diffusor is made of a single layer of white filament. You may run into errors when slicing it! 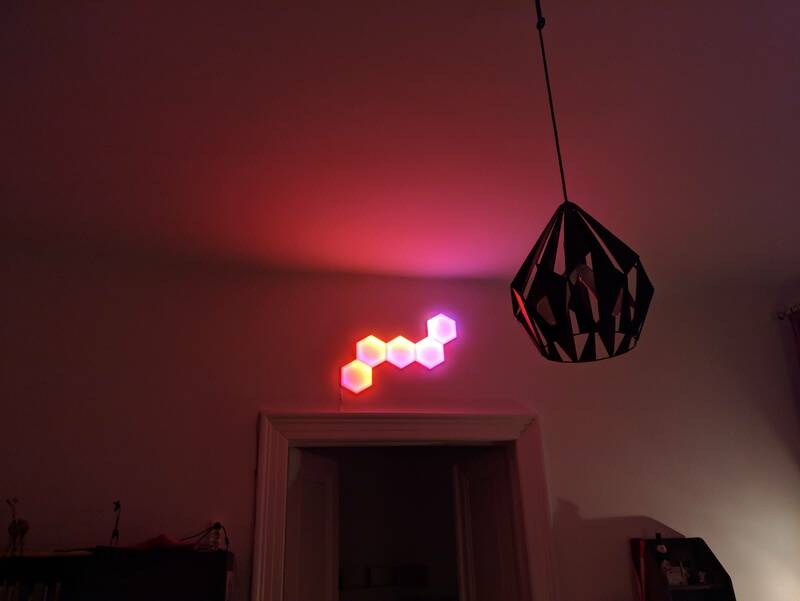 The design is rather new and will be adapted to house excatly half an LED strip. When upscaling this setup, you will run into power delivery problems, especially when you choose 144 LEDs/meter. 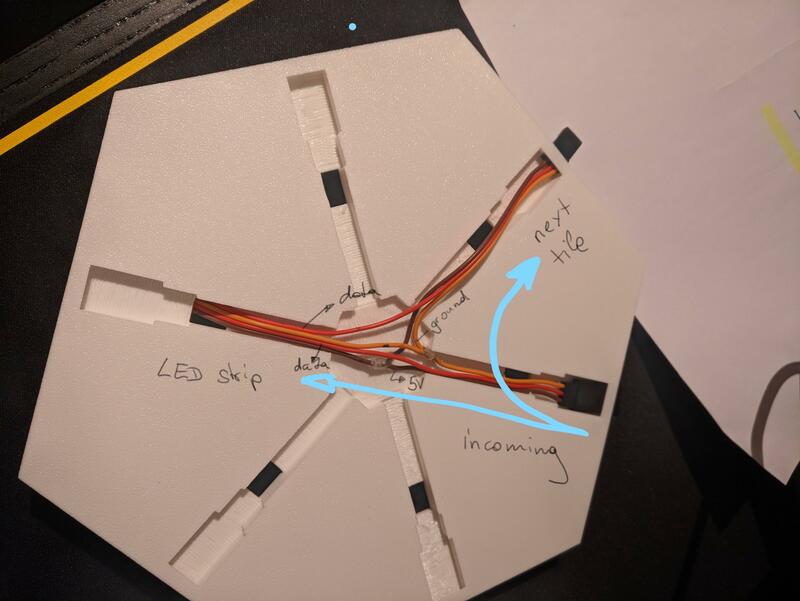 The next version may feature a voltage regulator before each LED strip and a stronger power line interconnecting each tile (including stronger cables). On/off doesn't work yet. For now, you can turn only turn it off by setting the brightness to 0. I am working on fixing this, it may just need a simple FastLed.clear() somewhere. // This function sets up a palette of crgbPurple and green stripes. This is great. 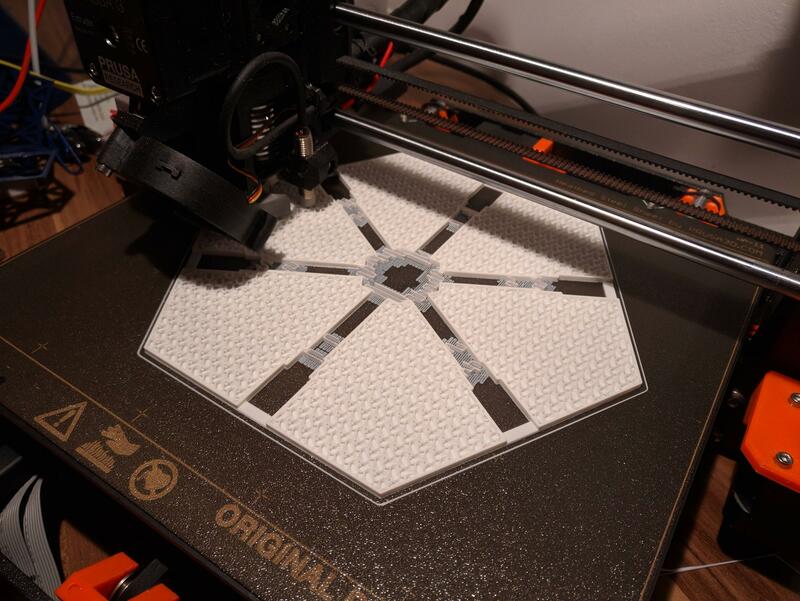 I was working on a hexagon tile, but since you were able to finish a design already, I don't need to keep hacking away at it lol! Though I don't see any stl or f3d files? I have attached them to the first post. You can find them at the bottom. Ah, I missed them, I looked all over lol.